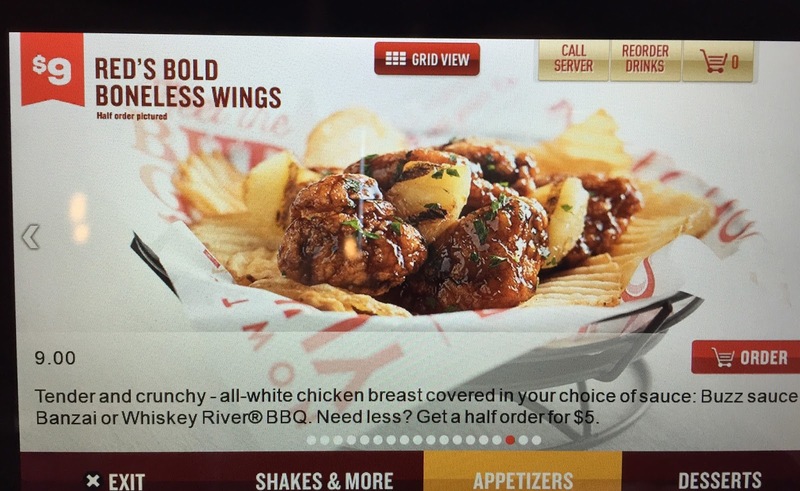 We had Red's Bold Boneless Wings at Red Robin. 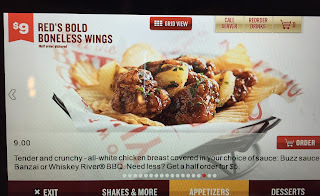 There're 3 kinds of sauce; Buzz sauce, Banzai or Whiskey River BBQ, and we chose Whiskey River BBQ. This is a half size. 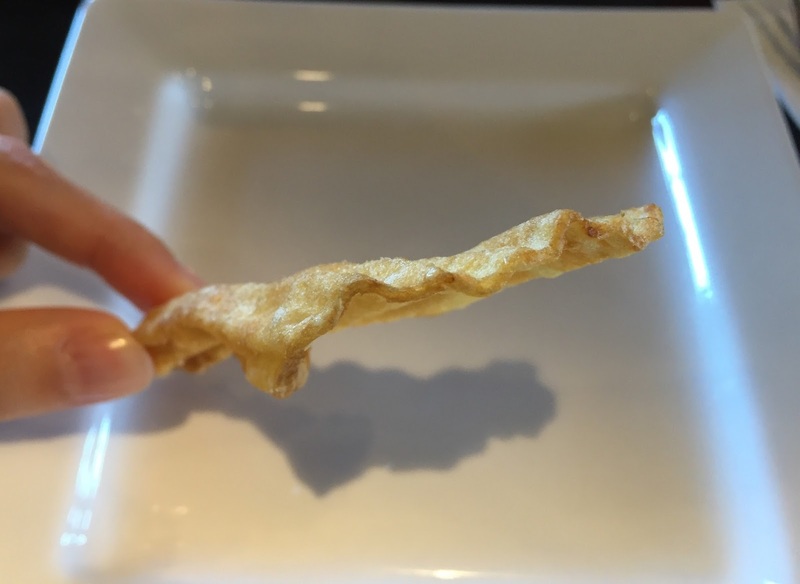 There're onion straws over the boneless wings. The ripple potato chips at the bottom were thick slice and crunchy. 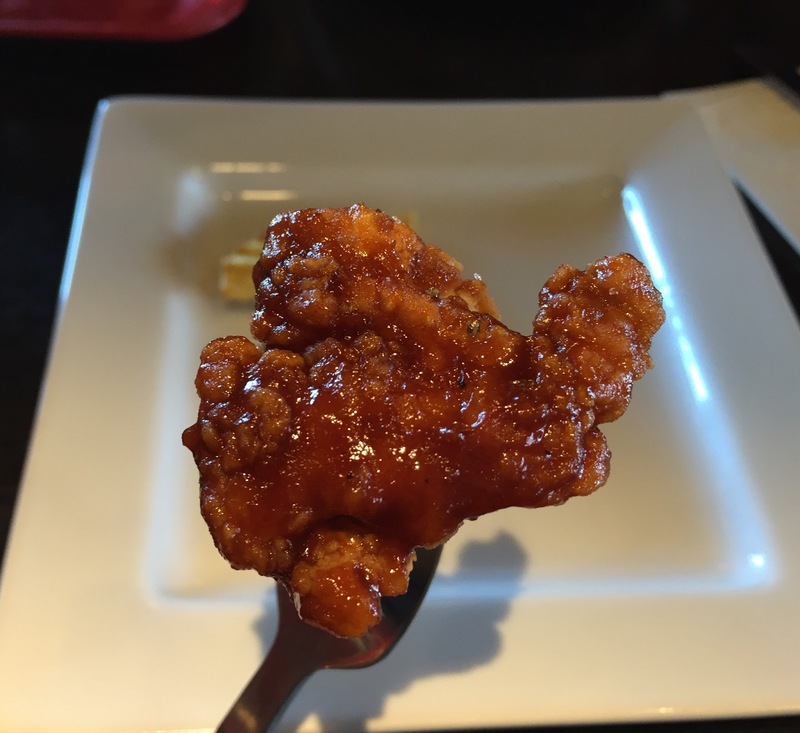 All the chickens are white meat, breaded and coated in sweet and salty BBQ sauce. It's a nice small sized appetizer.